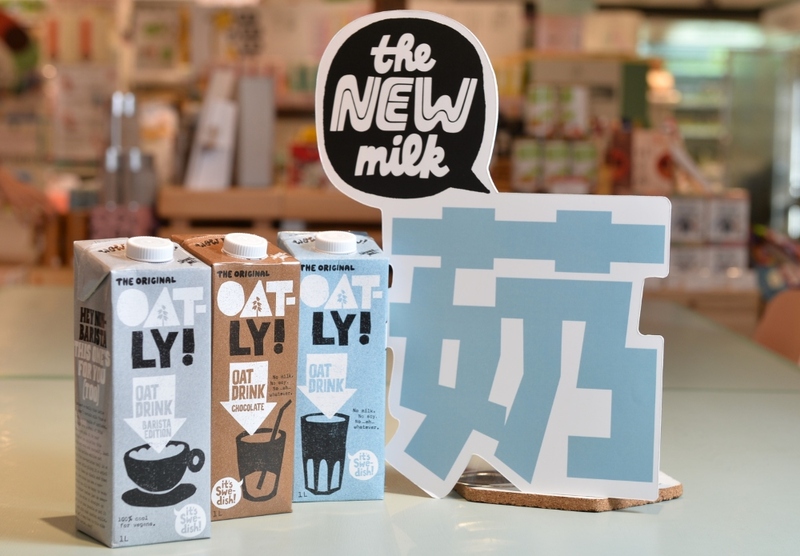 Vegan company Oatly has created a Chinese word meaning 'plant-based milk' in a bid to start a conversation around dairy in Hong Kong. According to Oatly's research, consumption of dairy milk in Hong Kong is on the increase - and 96 percent of people think of cow's milk when they see the Chinese word for milk. Only two percent think of plant-based milk. In addition, just over half (51 percent) think there is no suitable alternative to cow' s milk in the market, though 73 percent say they would consider switching from cow's milk to plant-based milk if they knew more about why it's better for human body and the environment. According to Oatly, the newly created Chinese character combines the element of 'plant' onto the Chinese character of 'milk', highlighting the feature of plant-based milk - coming from plant.The character will be displayed at point of sale in stores and coffee shops. "We want to make the world better. We can see encouraging signs in Europe," Toni Petersson, CEO of Oatly, said. "More and more people are now eating less or no meat or are vegan. While making radical change to your diet may be hard, switching from cow's milk to more sustainable plant-based milk is an easy step for everyone. "We are bringing the debate of plant-based milk and cow's milk to Hong Kong and encouraging Hong Kong people to make well-informed milk consumption decisions." "Our campaign in Europe and the U.S. is driving real behavior change," he added. "By promoting the benefits of plant-based milk as a more sustainable milk alternative, I am sure we can make the world a better world. "Hong Kong people say they want more information and education about plant-based milk. We're here to help and tell people where to find the right products. We are not just doing this for our business, we’re doing this for the whole plant-based milk category." David Yeung, Founder & CEO of Green Monday, supports Oatly's latest campaign: "We fully support this campaign, and will be using the word in Green Common and our community education programs. We are seeing more and more people turn vegetarian, and I believe that this creative campaign can encourage more people to embrace plant-based diet and tackle climate change together."